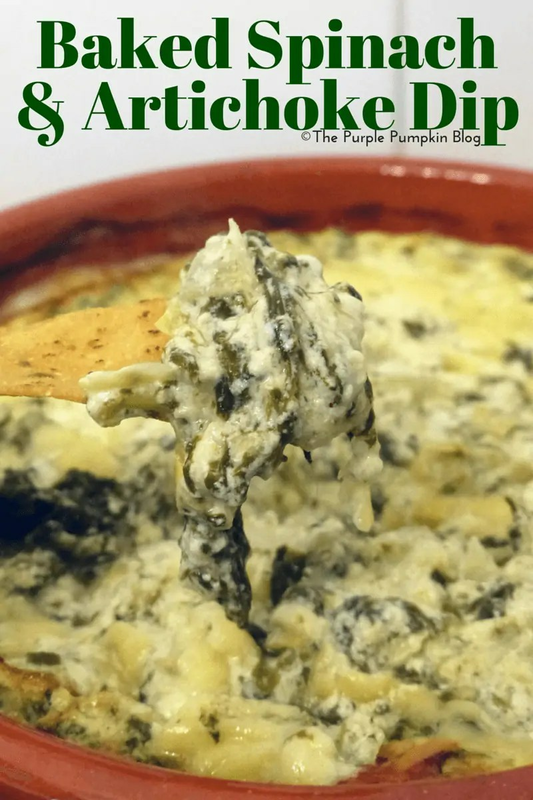 On our trip to Orlando in 2013 we became quite addicted to a baked spinach and artichoke dip that seemed to be very popular in a lot of restaurants out there. I thought I’d try and recreate it at home…however, since it is full of cheese, it’s not the best dip to be dunking tortilla chips into when you’re trying to lose weight! So instead of using full fat cream cheese and cheddar, I used Quark – a naturally fat-free dairy ingredient that can be used in cooking and baking. It also has the bonus of being a ‘free food’ on my Slimming World plan! Of course things like cheese aren’t free, but I did a little something to bring a full fat treat down in calories and fat – by using a half-fat Cheddar and semi-skimmed milk instead of the full-fat equivalents. 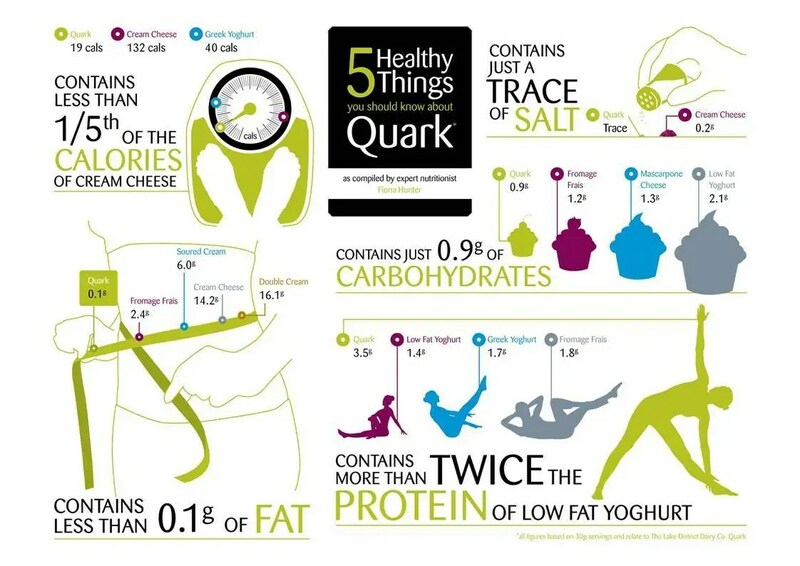 Before I go on with my recipe, this handy infographic gives you 5 healthy things you should know about Quark. It’s perfect to use as a replacement for cream cheese in recipes. Preheat oven to 220C/Gas 8. In a bowl, mix the Quark and milk together until smooth. Stir in the chilli powder and onion. Add the spinach and artichoke hearts and mix until combined. Get as much water as you can out of the spinach – I squeeze it between my [clean] hands until I can squeeze no more! Save a handful of the Cheddar to sprinkle on the top, then stir the rest into the mixture together with the parmesan. Season with salt if you wish. Transfer the dip into an ovenproof dish and sprinkle the reserved cheese on top. Bake in the oven for 20-30 minutes until warmed through, bubbly and golden. You can also prepare this in advance and keep in the fridge unbaked and cook when required. …what a difference right?! To save some calories, but not compromising on flavour (which it didn’t, it was such a good dip and everyone loved it!) switching to Quark and a half fat cheese really helped – it meant I could still enjoy a party, without compromising my diet too much! Please note, I used an online calorie counter to work out the calorific content, so this is just an approximation. Have you ever used Quark before? What recipes have you used it in?